Winder, GA was first occupied several hundred years ago when Fort Yargo was built. Today Fort Yargo is a State Park with camping and the Marbury Creek Reservoir. Shopping in downtown Winder is always fun, or you could play some golf on the Chimneys Golf Course. 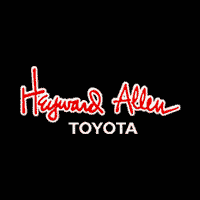 Whether you love camping, golf or shopping, Heyward Allen Toyota — serving Winder, GA — has the new Toyota car, truck, SUV or van to meet your needs.